Eye Care Directory offers up-to-date information about the optical eyeglasses stores and eye doctors for your vision needs in the Rennes of Brittany. You may arrange an free eye exam, buy prescription eyeglasses, RX sunglasses or donate your old eyeglasses by using the contact information in the directory. In the Rennes, optometrists can be found in the vicinity of a chain optical retail store, or in an independent optometrist's office. Optometrists are trained to address both vision refractive errors and eye health. Many optometrists sell high-end eyeglasses and contact lenses in their practices with the most professional possible services in addition to performing eye exams and writing prescriptions. Ophthalmologists are medical doctors (MD) in the eye care and vision health who perform eye exams, write prescription for eyeglasses, sunglasses and contact lenses, diagnose and treat eye diseases and carry out eye surgery. Ophthalmologist's responsibility is much beyond that of optometrist. What does hand eye coordination mean? Hand-eye coordination is the ability of coordination between hand and eye. The vision system gets information through eyes and uses this information to direct and guide our hands to execute a given task, for example, getting a flying ball or handwriting or anything we do. This ability starts to develop since infant period. When we were born, we started to see with eyes, and gradually we learned to move small objects with eyes, such as reaching and grasping. As we grew older, our hand-eye coordination skills developed that we can do more skilled work such as playing basketball, driving, dancing and so on. Inadequate hand-eye coordination is mainly caused by two problems, vision impairment and movement disorders. Because vision is impaired, people can't see objects clearly. The blurry or impaired vision directly impacts hand-eye coordination ability. Although people might have good vision, yet movement disorders stand in the way of task fulfillment too. The typical example is ataxia. The eyes give correct and fully direction, yet body movement can't handle it at all. Hand-eye coordination exists around us. What we do daily requires this ability, which is necessary and critical. What are best contact lenses for aging eyes? I will suggest you the progressive contact lenses. This is the fact that with age, our vision quality declines. Thanks to the advanced technology, there are now a variety of contact lenses that can help nearly every vision correction need. Progressive contact lenses are among the most advanced contacts. So what are the functions of progressive contact lenses? Progressive contact lenses contain a variety of vision â€œpowerâ€ within one lens. This allows you focus and have clear vision at all distances, from reading up close to far in the distance, and everything in between. In other words, they are very useful for aged people. How long will vision be blurry after lasik? Immediately after the LASIK procedure, your vision will still be quite blurry. It is common for one eye to be less comfortable than the other for the first few weeks and for one eye to see faster than the other. This is normal. It takes several weeks and often a few months for you vision to improve and stabilize. In the first week or two, most people feel as though they're looking through Vaseline, fog, or a dirty contact lens. Often they can see objects but the contrast or sharpness and clarity have not yet returned. This is completely normal. It usually takes a few weeks for this to start really coming back well and, by three months, most peoples' eyes and eye prescriptions have stabilized. 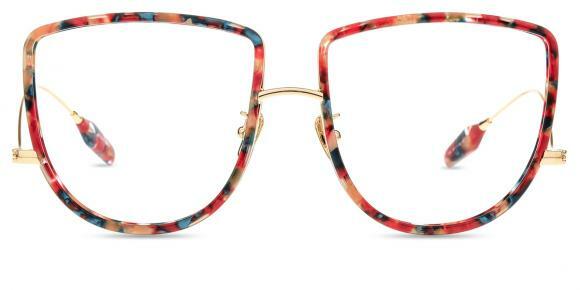 Glasses that protect your eyes from the computer? Yes, that's called computer glasses. 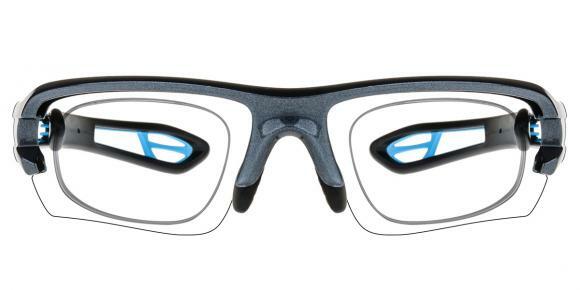 As the name implies, computer glasses are specially designed for people who spend long time in front of computers. The eyeglasses are made of anti-reflective coating lenses which can protect your eyes from the computer radiation thus give your eyes healthy and comfortable vision. Besides, if you suffers vision problem, you also buy prescription computer glasses that can provide you vision aids so as to give you clear vision, thus release your eye strains. How can i remove logo from side of metal eyeglasses frame? Well, it seems that you really hate that kind of logo on the side of your glasses. And you do not want to scratch it off. So, what I can recommend to you is to find some thing that has the same color with your glasses frame and glue it on the logo and that the logo could be covered. That sounds great right? Otherwise you would have no options at all. Hope you find this useful. Does ian somerhalder wear contacts in the vampire diaries? Yes, I have seen the vampire diaries. Ian somehalder wears the green contact lenses which look so charming and attractive at the eyes. If you want to buy the similar type, you could just go to the amazon to have a search. There are many types of contact lenses there. You could go to search the green contact lenses with different brand. How Long will an eye sty last? It would last 2 to 3 days normally. The eye sty is small bump that would appear on the outside or inside of the eyelid. It causes by clogged eyelid glands of debris, bacteria, or excess oil that the person get. When getting the eye sty, it would be sensitive to the light. To treat it, you can use warm towel to compress your eyelid for 10 minutes, and repeat it about 4 times per day. Or you can use eye drops to cure the infection. Is it normal for your eye to wander? According to your description, I have to guess that you may have a lazy eye. Because this is a very obvious symptom of a lazy eye. However, this is also very normal sometimes. Well, it just depends on how you treat it and what on earth you have got. Sometimes when you see a beauty on the street or when you see something beautiful, you will also get wandering eyes, hahaha, I guess you will know why? This is quite normal, please don' t take this behaviour as a kind of sickness or illness.